Today is the last day of filming “Skip School“, a web series about Alex, who struggles with the time jumps of his new school. I have been producing for the students in my course, so they can experience being on set. 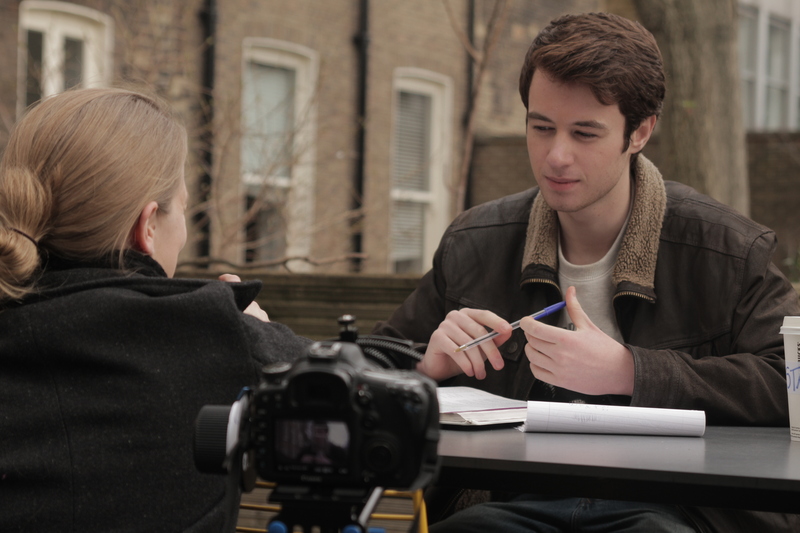 Here is a photo of me directing our Alex, played by Ben Grady. The photo was taken by one of the students (lovely shot composition, innit? ).